The Wall Street Journal’s editorial comes after China for the fourth time blocked India’s bid to declare Masood a “global terrorist”. 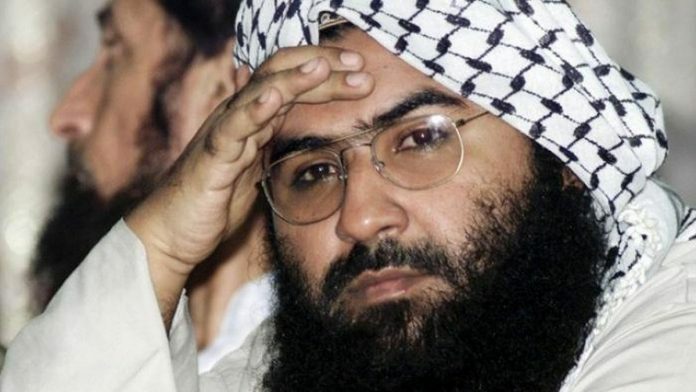 New York: A leading US daily has questioned China’s blocking of another move at the UN to designate Masood Azhar as a “global terrorist”, stating that Pakistan-based terror group Jaish-e-Mohammed’s chief is a “proven threat” and Beijing is “loath to upset” its “all-weather” friendship with Islamabad. The Editorial Board of the Wall Street Journal, in an editorial piece titled ‘China Shields a Jihadist – Beijing blocks a UN attempt to sanction the Kashmir killer’, said without meaningful global action against jihadist enclaves in Pakistan, India may “understandably conclude it has few options other than a military escalation”. The editorial comes after China for the fourth time blocked a bid in the United Nations (UN) Security Council to designate Azhar as a “global terrorist” by putting a technical hold on the proposal on Wednesday, a move India termed as disappointing. The proposal to designate Azhar under the 1267 al Qaeda Sanctions Committee of the UN Security Council was moved by France, the UK and the US on February 27, days after the Pulwama terror attack which killed forty Indian soldiers. “…Azhar is a proven threat. Why would China give him a terror pass?,” the Editorial Board asked. “Beijing is loath to upset what it calls its ‘all- weather’ friendship with Pakistan, and one reason is strategic. The US cut military aid to Islamabad last year after President (Donald) Trump cited its support of terrorists in Afghanistan, and China wants to fill the gap,” it said. The editorial noted that tensions had de-escalated between India and Pakistan after the February 14 terror attack by Jaish-e-Mohammed (JeM) in Kashmir’s Pulwama district which killed 40 Central Reserve Police Force personnel. In the days since (Pulwama attack), “the global focus now shifts to rooting out terrorists in Pakistan, but China is already easing international pressure on Islamabad to do so,” the editorial said. It said the proposal moved in the UN Security Council’s Sanctions Committee against Azhar in the last 10 years would have subjected the JeM chief to a travel ban, an assets freeze and an arms embargo. A UN blacklisting would pressure Pakistan to comply, the Editorial Board said, adding that the US State Department concluded in 2017 that Islamabad failed to stop the JeM from “openly raising money, recruiting and training” in the country. But Beijing put a hold on the proposal saying they “still need more time” to consider the matter, according to Chinese Foreign Ministry spokesman Lu Kang. The editorial noted that the international community should not “expect a change” in this stance given that Beijing has blocked Security Council action against Azhar in 2016 and 2017. Lu suggested that UN sanctions against Azhar could endanger the region’s stability, “but the opposite is true”, the write-up noted. “Without meaningful global action against jihadist enclaves in Pakistan, New Delhi may understandably conclude it has few options other than a military escalation,” it added. The editorial cited the American Enterprise Institute’s China Global Investment Tracker, saying China has poured nearly USD 32 billion into Pakistani infrastructure through Beijing’s Belt and Road Initiative. From 2008-2017, Pakistan imported USD 6 billion in weapons from China, according to the Center for Strategic and International Studies, making it Beijing’s biggest arms customer in Asia. The editorial also noted that China was “shielding” Azhar even as it uses the threat of terror to sanction its own citizens – the Chinese Uighur Muslims. It said in its northwestern Xinjiang province, more than one million Chinese Uighur Muslims have been detained in “re-education” centers under the guise of preventing extremism.